Is it worth to buy 6 year old digital technology when you can get up-to-date gadgets for the same money? Short answer: yes it is! At least it can be. If, that is, you want some features that most modern cams do not offer. 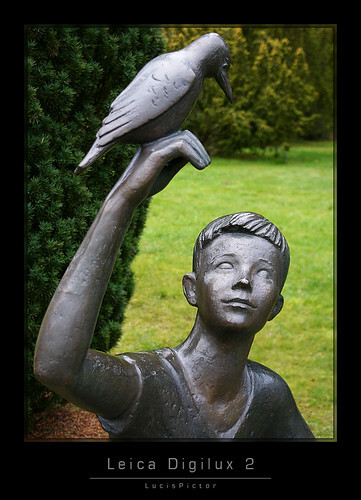 A digital camera often is reduced to the sheer number of “Megapixels” or the lowest level of image noise. But there is more to it. Handling, built and the “feel” of a camera are very important for me and against this background the Digilux 2 probably is the best digital compact cam I have ever used. Many people say that its viewfinder is crap, that it produces a high noise level in the images, that it’s not a fast responding camera etc. etc. Yes, the viewfinder is not really great if you compare it to a DSLR viewfinder, but it’s fantastic compared to most other digital compacts. Yes, noise levels are pretty high if compared to APS-sensor cams, but it’s not bad at all when compared to modern 12 MPix 1/2.5″ sensor compact cams. Yes, a decent DSLR will autofocus faster and there is no lag when pressing the shutter button, but the AF of the Digilux 2 is pretty fast when (you might guess it already) you compare it to a normal compact digicam. 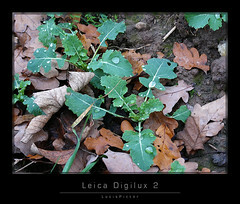 Just because using the Digilux 2 resembles a DSLR more than a compact cam does not mean that it should be compared to one. 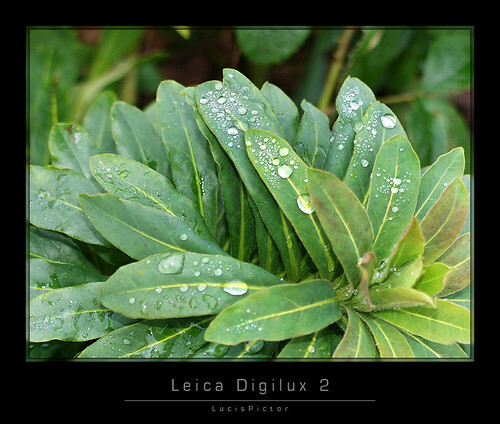 Yes, the Digilux 2 is about as expensive as a DSLR and still it is a viewfinder cam. So we should compare it to other 5 MPix compact (or bridge) cams of that age. 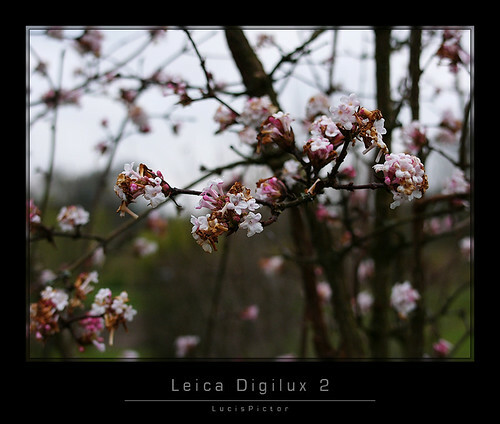 I will publish a comparison of the Digilux 2 and a Minolta DiMage 7 and a Panasonic Lumix FZ20 respectively as soon as I get to it. 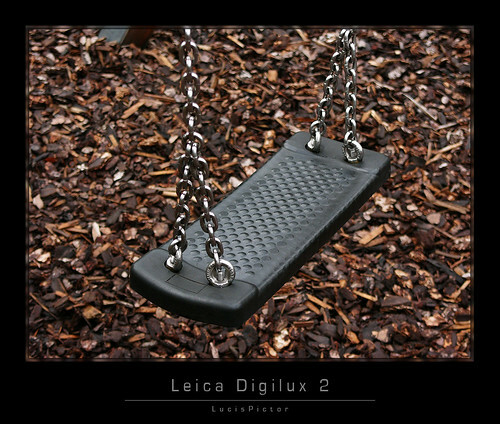 One of the most striking elements of the Digilux 2 is its fantastic Leica lens – a lens that offers a 28-90mm zoom range at a speed of f/2-2.4 which is pretty fast. The 2/3″ sensor makes it possible to use limited DoF when shooting at 90mm and f/2.4. Its zoom lens is desinged in 13 elements, two of which are aspherical ones which eliminates sperical aberration almost completely. 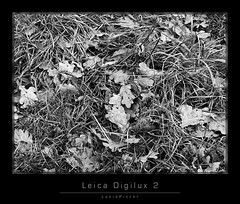 Another nice part of the Digilux 2 are the excellent features: spot metering, full manual control or custom function settings just to name some. 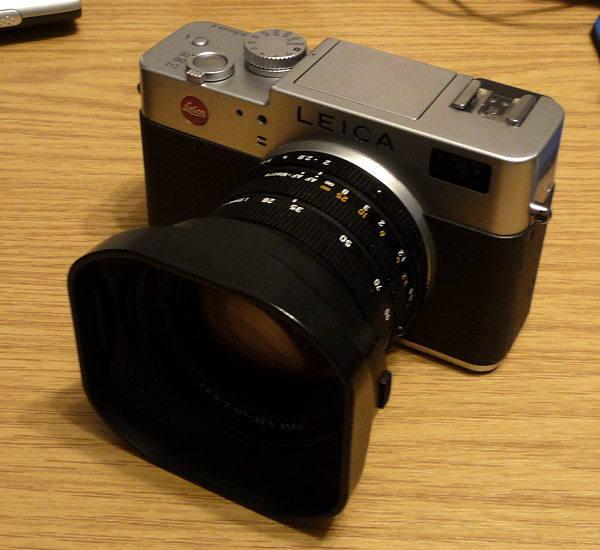 Apart from that Leica includes amazing accessories. The lens hood and the caps (one for the lens without hood, another one for the lens with hood!) are ever so solid, just like everything else of this cam. A 69-77mm step-up ring enables the photographer to mount 77mm filters to the lens. And all those little gadgets are completely designed and manufactured in true Leica stlye. By a fantastic coincidence I was able to puchase a digital camera that have dreamt of for years. I am a happy man. The new “EVIL” cams, such as the Olympus EP1 or Panasonic GF1, are very nice, but they do not offer a genuine viewfinder and thus are not what I want. Cameras like the Canon G11 have got a viewfinder but they cannot be used with manual focus. Sometimes I am just a little intricate. There is a camera that I have fallen in love with the first moment I saw it. But it was too expensive for my taste. But now, a photo friend from Italy has offered me a copy for a fantastic price. (Thanks again, Ludo!) Something I really could not turn down. 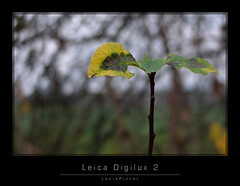 And thus I am the proud and happy owner of a Leica Digilux 2. What a beauty!